Ernest William Hornung(1866-1921) was born in Middlesborough, England and educated at Uppingham School, Rutland. He spent two years in Australia for his health, returning to England in 1886. In 1893 he married Sir Arthur Conan Doyle's sister Constance and five years later the first of his stories of "Raffles" the gentleman burglar appeared in Cassell's Magazine. More stories followed and proved extremely popular. The first collection of the exploits of A.J. Raffles and his friend Bunny Manders was published as "The Amateur Cracksman" in 1899. 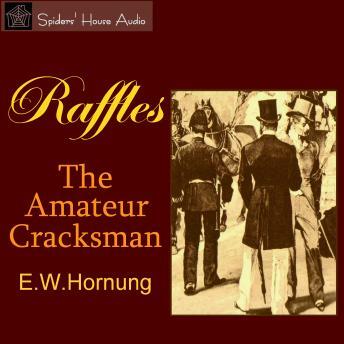 The characters of Raffles and Bunny were possibly inspired by his brother-in-law's creations, Sherlock Holmes and Dr. Watson, although they are on the opposite side of the law. The activities of the gentleman cricketer and his associate are highly questionable but "he never steals from his hosts and he helps his old friends in trouble". "The Gift of the Emporer"